"Cavalcade of America: Commencement in Khaki"
A sunny spring breeze over a manicured lawn, a podium on the stage before rows of folding chairs filled with anxious students, robed and wearing their mortar board caps. An astute observer will note that the soon-to-be graduates all have the tassels of their caps aligned on the same side. Once they have received their diplomas, the graduate will switch the tassel from one side to the other. The highlight will come as the ceremony closes and the graduating class tosses their caps en masse into the air in an exuberant celebration that they are putting this stage of their education behind them. 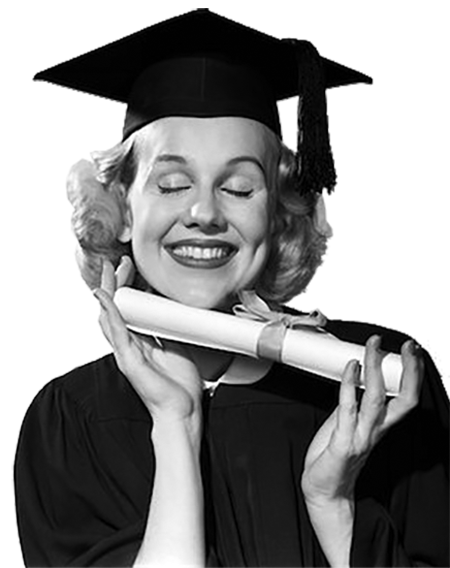 The term "graduation" comes from the Latin gradus, or step. The ceremony is based on the initiation rites of the medieval guild system. The universitas was formed by an association of students and teachers who might be granted a charter the local prince or prelate, endowing the university and its members with certain legal rights. Like any other guild-based system, there is a progression from initiate or student to bachelor, and finally to master. Graduation ceremonies are based on those steps. While graduations in the ancient university system reflected advancement in academia, in the modern setting graduation implies the movement from one level of the education system and into the world of work. Graduates of the nation's service academies generally leave the cadet corps and are inducted into the Officer Corps of the various services. Medical or dental school graduates expect to enter a practice in their fields and law school graduates think they will soon be practicing law. A common experience of graduates in any field is the discovery that no matter how well they may have done in school, applying that knowledge in the real world holds more than a few surprises which no classroom could prepare them for. This conundrum of "not being as prepared for the real world as you think you are" bites Mr. Baxter on when his regular dentist is out on vacation and the only replacement is a newly graduated molar-masher. Life not going the way you expect is the theme of story "The World With a Fence" where Robert Stack plays a young man who gets married right after graduating and regrets not being able to give his bride everything he wants to like his rich roommate could have. Some of the most anticipated graduations during the War was from nursing schools, and the War effort needed all the nurses available. Nurses were important enough to rate an address from Robert Benchley on Command Performance. Bing Crosby and Rosemary Clooney have some very helpful advice for girls graduating from business school and for the executives who will be hiring them. These worries about what the future may hold are natural, but should not take away from the happiness of graduation day. The joy extends beyond the graduates themselves, it is an important day for the families who have supported them through their studies. Of course, sometimes theses family members are a little confused like The Life of Riley's Chester on daughter Babs' big day. Cavalcade of America presents "Commencement in Khaki", a story of soldiers making the most of their spare time by taking college courses on base. Be the first to comment on "Graduation"